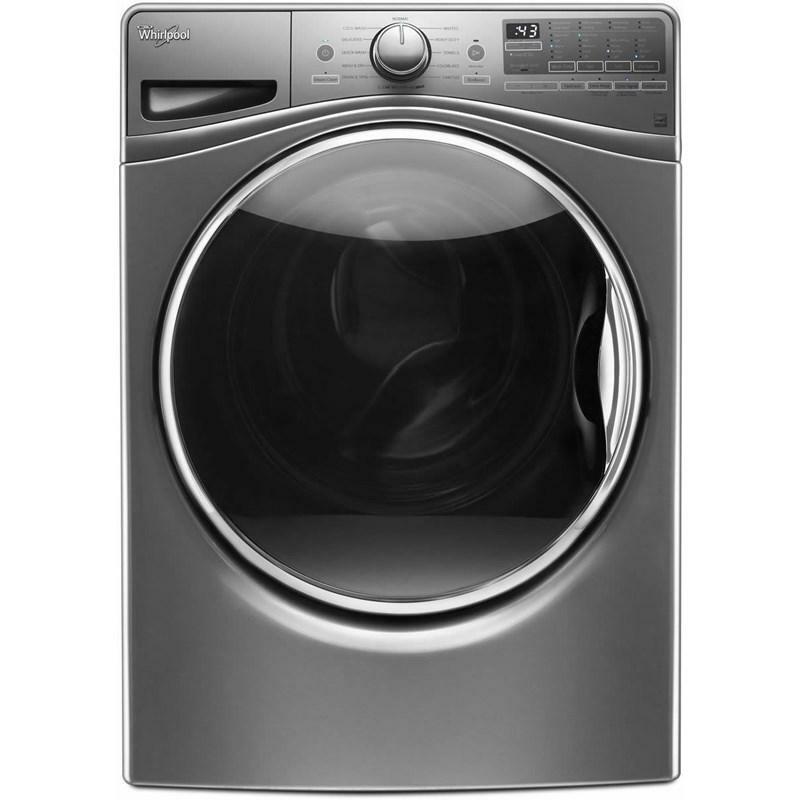 Get clothes ready for the day in fewer steps thanks to Whirlpool's energy-efficient front load washer. 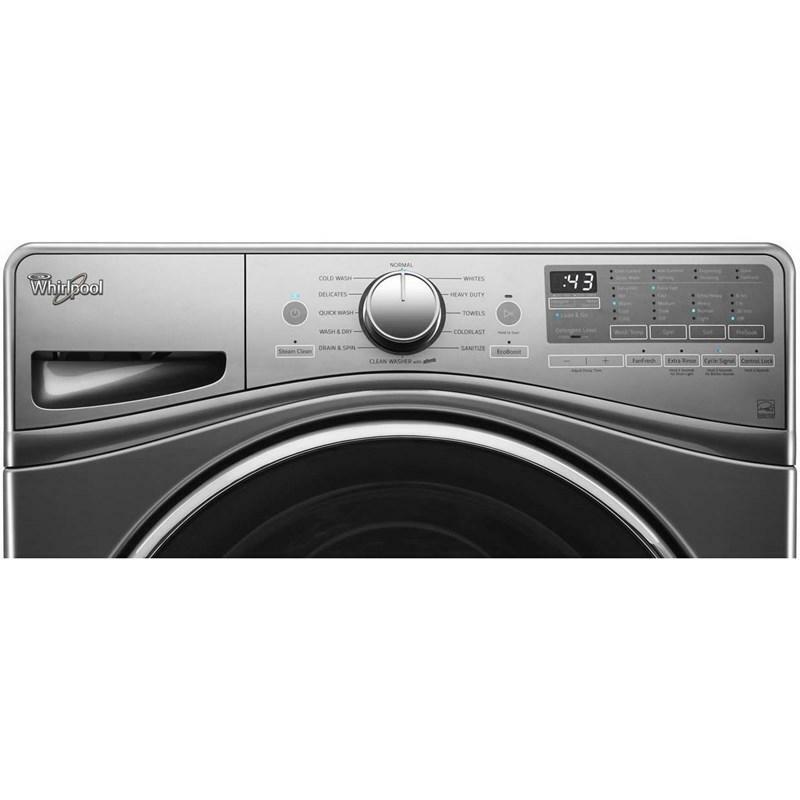 Skip adding detergent to each load with this front load washer that features the Load & Go™ system, which includes a bulk dispenser that holds enough detergent to wash up to 12 loads of laundry. 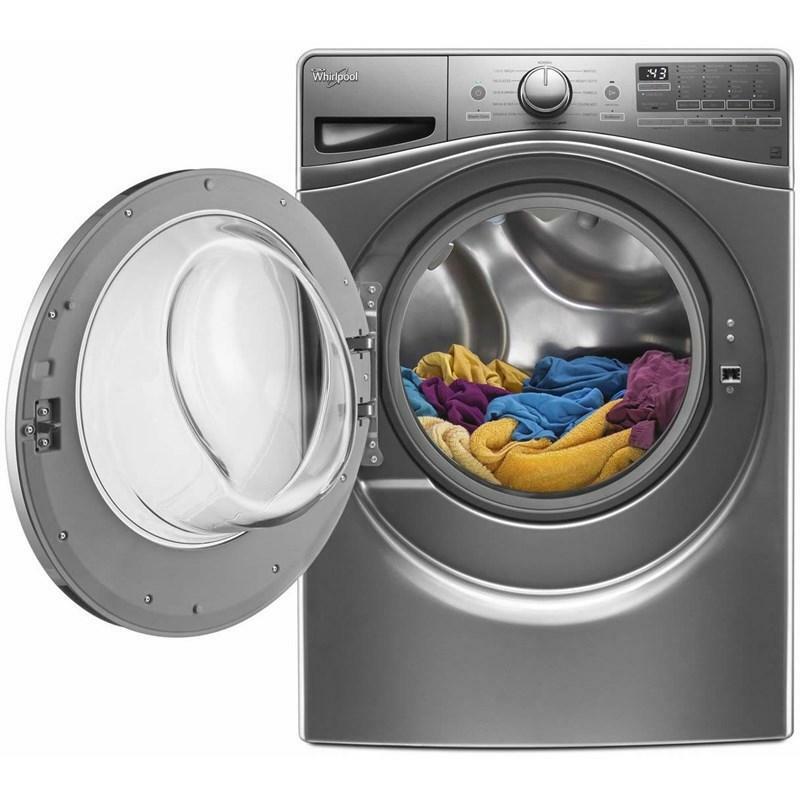 The FanFresh® option keeps clothes fresh for up to 12 hours while the Wash and Dry cycle lets you wash and dry tomorrow's outfit in the washer. 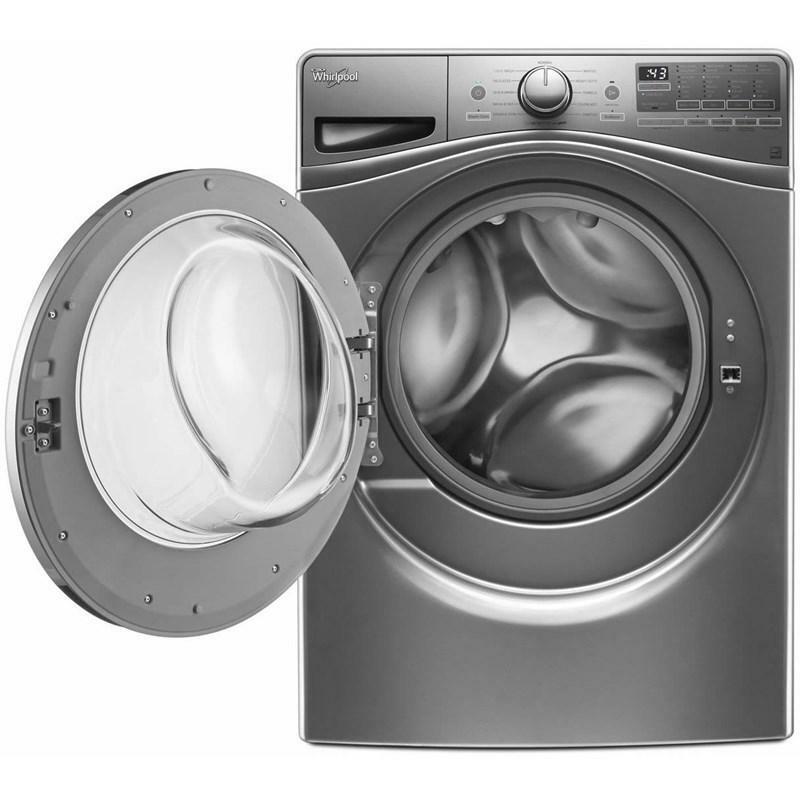 Get well-balanced cleaning with the detergent dispenser that releases detergent at the right time. 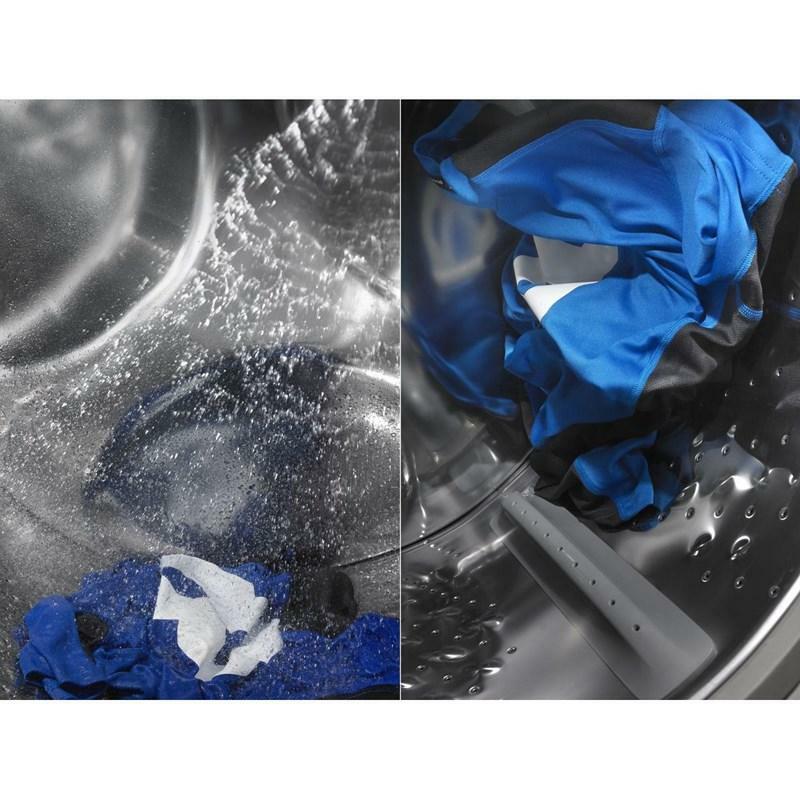 You can even keep colors vibrant longer with the ColorLast™ cycle. • Height: 38 3/4" - 39 3/4"